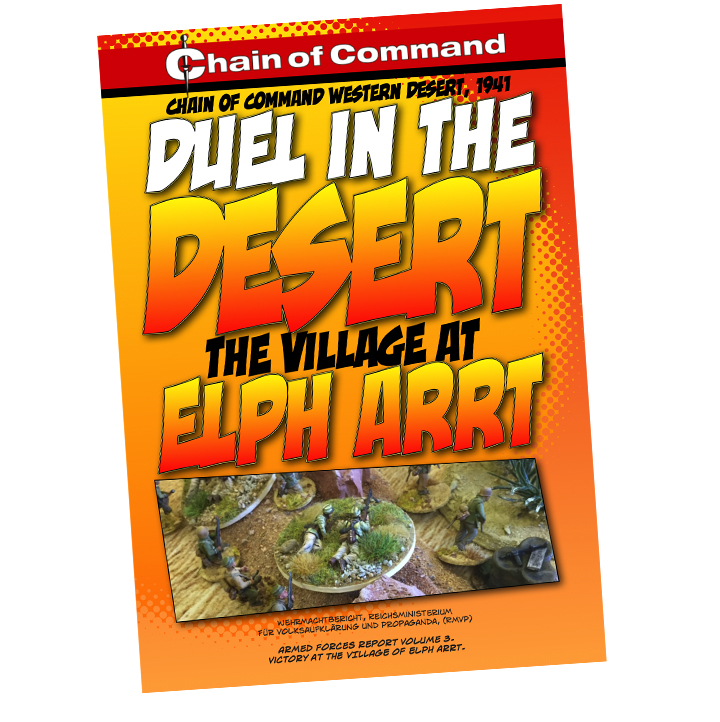 January saw the start of our Chain of Command Western Desert campaign. 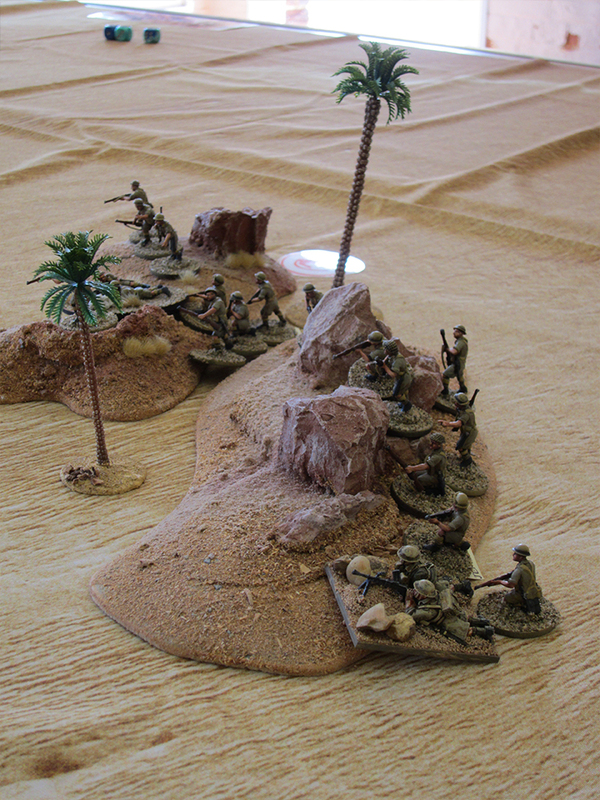 The first game was a clash of patrols, 2 British and 1 New Zealand platoons against 2 DAK and 1 Italian platoons. 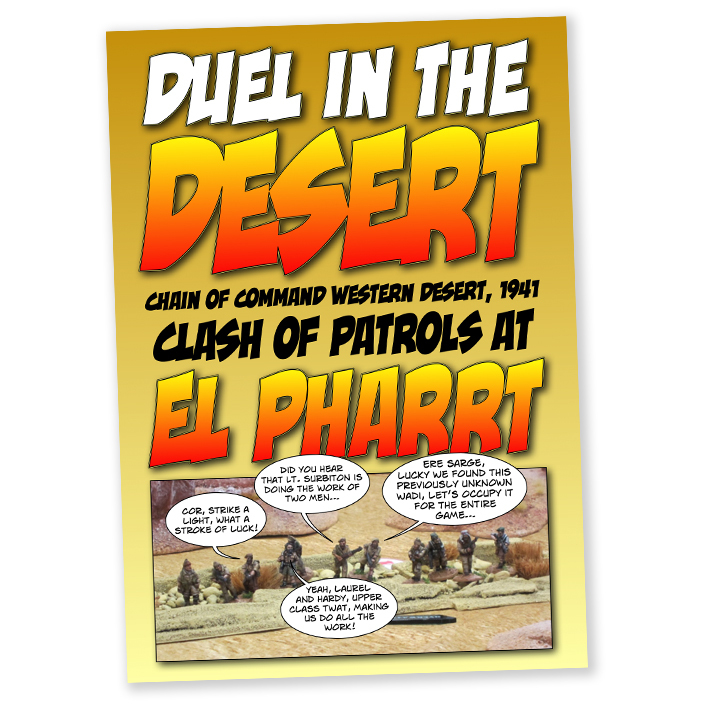 Download the pdf to read a full account of the game. 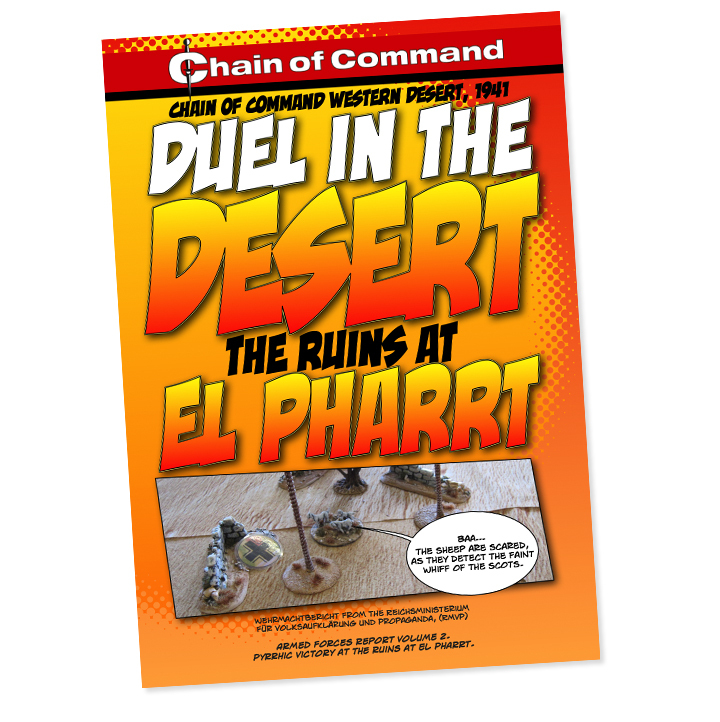 The second game in our Chain of Command Western Desert campaign was at the ruins of El Pharr. 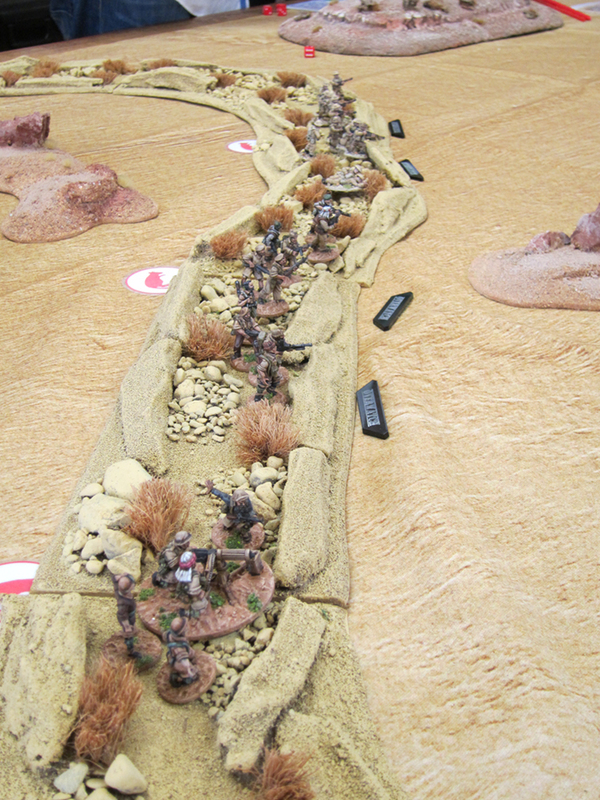 The game saw a clash of 1 Highland and 1 British platoon against 1 DAK and 1 Italian platoon. The allies were awarded a highly dubious victory as two bren gun carriers roared down the edge of the table at breakneck speed. 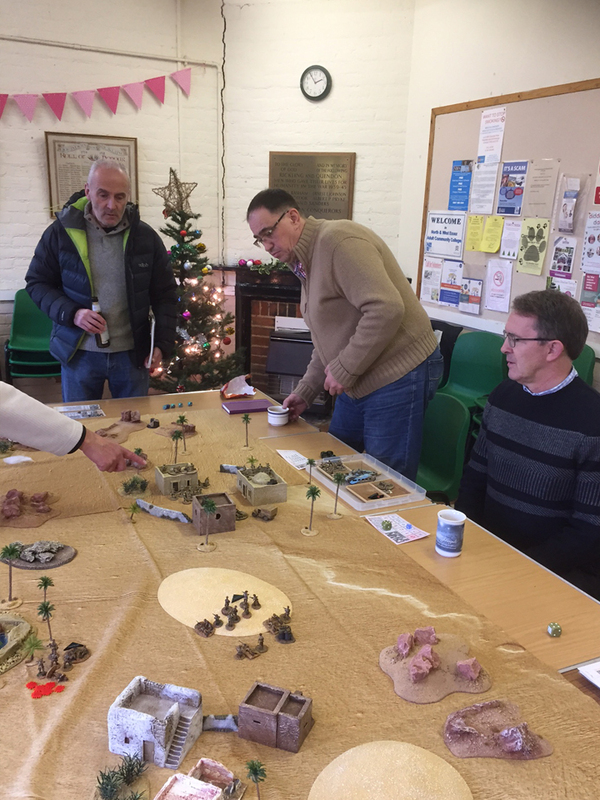 The third game in our campaign saw the combined forces of the Germans and Italians defeat the British and New Zealanders. Now keen observers of the campaign may notice that this was actually the fourth game of the campaign but the victorious allies were far too busy celebrating their victory that they completely forgot to send in a report to HQ. Armed forces report vol. 1 - download pdf (9MB). Armed forces report vol. 2 - download pdf (9MB). Armed forces report vol. 3 - download pdf (9MB).